Lurestand designed specifically for Lucky Perch made out of Meranti wood or teak, laquered and fitted with hard transparent and airbrushed molded fins as holders. 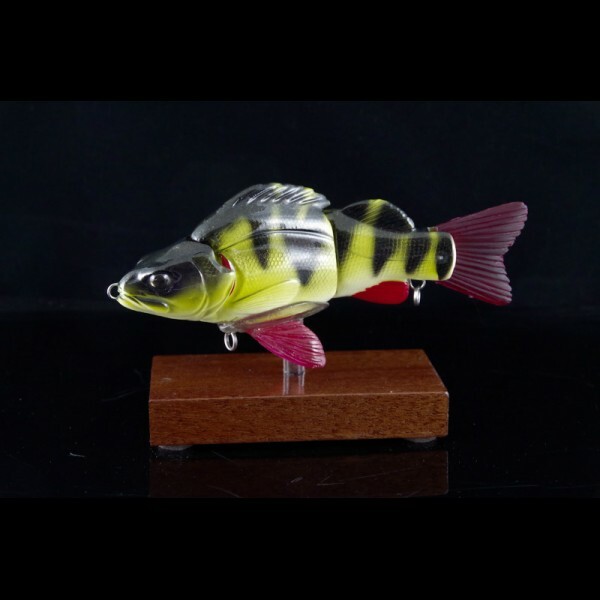 This way your Lucky Perch can be stored safely or put on display for you to look at and dream about your next fishingtrip. 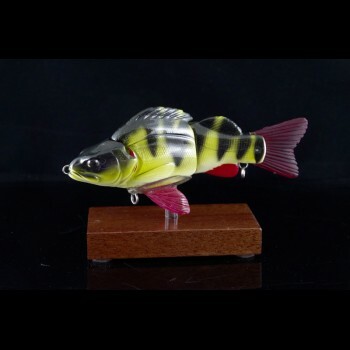 * The stand is not attached to the lure so you can still fish the Lucky Perch and even put it on the stand with trebles atached.